Boston’s own father-daughter recovery team brings it to you straight, no chaser! Maegan and Bobby give an uncensored, open-minded, and unconventional take on all things addiction, recovery, holistic health, and more! #104 Another “Tip This” Segment with Maegan & Bobby! #104 Another “Tip This” Segment with Maegan & Bobby! It’s How to Manage Triggers in Early Recovery plus we listen to an audio clip of the latest news at Purdue Pharma headquarters and the rap song from the pharmaceutical company Insys, makers of a fentanyl spray, and how they are making light of fentanyl's role in the overdose crisis. We play “Whadya Say with Bobby K and discuss recent decriminalization efforts of magic mushrooms in Denver! You can also leave us a 12-minute maximum voicemail recording of your story and we will play it on the show. 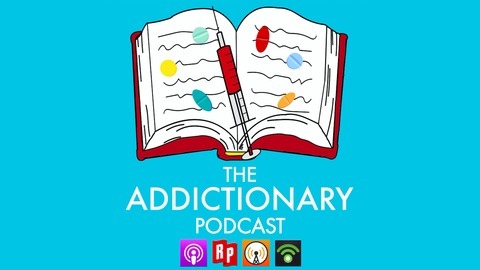 Find the orange recording button by visiting www.theaddictionarypodcast.com now. The Addictionary podcast’s new intro song is called “Here We Are Again” from the album, Spare Change, by Stiz Grimey. Purchase a copy now at www.stizgrimey.com. 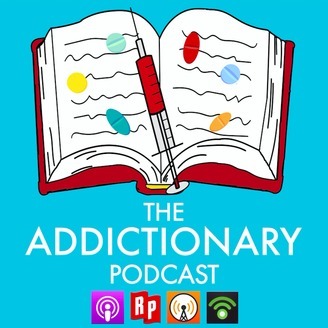 The Addictionary podcast and related content shared by the hosts and guests is intended to provide information and/or entertainment only and is not a substitute for medical advice, diagnosis, or treatment. Seek the advice of your physician or another qualified health provider with any questions you may have regarding a medical condition. Do not delay medical consultation or substitute a medical professional’s opinion because of what you heard on this podcast. For questions or concerns about any medical conditions you may have, please contact your doctor. This podcast and its hosts do not provide crisis support for mental health or addiction. #101 What is NAD+ and How Is It Healing Addiction? with Chris Johnston! #100 It's the 100th episode live podcast special!